Tiki refers to large wood and stone carvings of human forms. Often angry or scary in appearance, the carvings are found in the Polynesian islands originally made by the indigenous tribes of the islands. This gave birth to so called Tiki culture that formed in the early 20th-Century United States and is currently seeing a revival, especially in the cocktail culture. 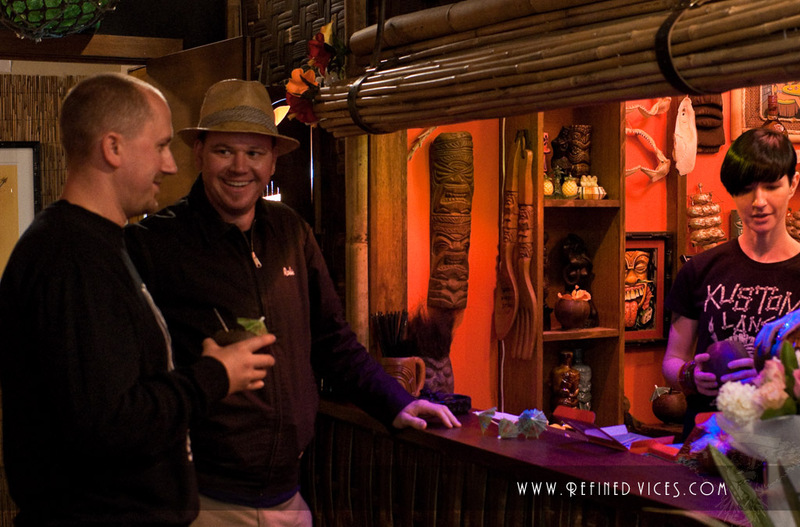 Tiki has since then inspired many Polynesian style restaurants, bars as well as cocktails from which the Mai Tai is probably best known and considered to be the quintessential tiki cocktail. The cocktail actually became so popular it pretty much exhausted the whole supply of the main ingredient, J Wray & Nephew 17 Year Old, but that's a story for another time. Tiki has also shown to be a great inspiration for some fantastic artists as I discovered at the gallery. The show has on display everything from books, t-shirts, tiki mugs, carvings and some really impressive paintings, most of which is available for purchase if you want to decorate your house or get some cool mugs to drink your zombies from. Because it was a meet and greet event I actually got to talk to some of the artists featured at the gallery including some who had come all the way from the United States for the launch! The artists featured were Brad "Tiki Shark" Parker, Tom "BigToe" Laura, Doug Horne, Paul Hughes, Marcus "Tiki Beat" Thorn and Dave Kohlman who had contributed paintings, carvings and Tiki mugs; each of them immersed with the artist's own personal creative touch of Tiki. What about the rum? Well, they had an awesome little Tiki bar built in the dusky corner, decorated with Tiki masks and lanterns that served beverages to the guests such as the tasty Mai Tai, made with Appleton Estate rum. It came in a coconut shell filled with ice and garnished with an umbrella and a cherry! Nothing like a tropical concoction to lift up the mood caused by the rainy weather. 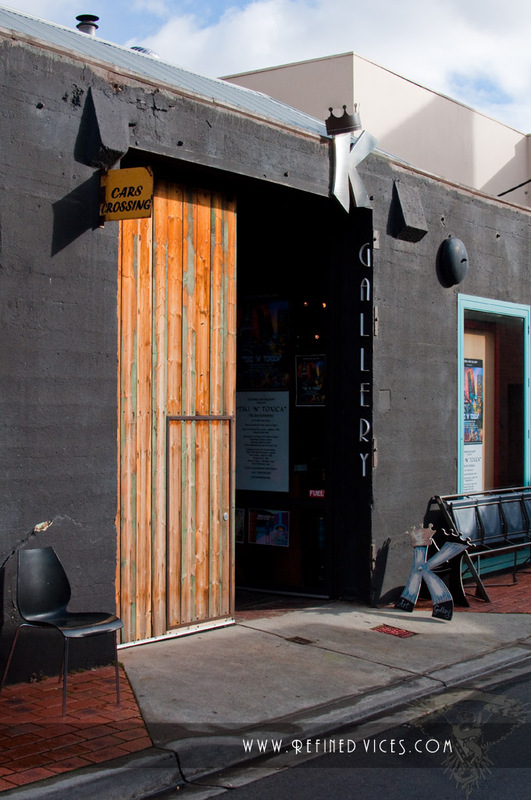 If you're into Tiki, art or just like that kind of stuff I recommend you go and see the exhibition at the Kustom Lane gallery while they are still open. Tiki 'n' Toxica exhibition is open until the end of this June on Saturdays and Sundays or by appointment on Weekdays. Check out Kustom Lane website for more details and how to get there. More photos of the event at the Refined Vices Facebook page. Were you there? Share your thoughts in the forums!